Stan returns home from the battlefields of World War Two a broken and bitter man. He’s resigned himself to a life without love and happiness, sure no woman will put up with a cripple like him. Until the day Agnieska shows up on his porch. Agnieska has endured six years of cruel oppression in the Nazi camps. When she shows up at Stan’s doorstep all she wants is to find even one friend who survived. She never expected that short-tempered, gruff Stan would be the one to capture her heart. When friendship turns into love, can Agnieska convince the brooding man that he’s everything she needs? 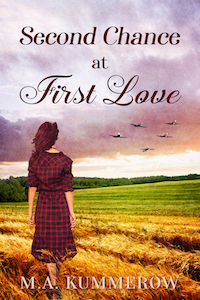 A sweet historical romance between two people who've endured unimaginable hardships.